MEMS manufacturing capabilities for prototyping and production, MICRO and NANO electronics, Integrated optics, micro Fluidic , Lab on a chip and other sophisticated technologies, MNT (Micro and nano technology) design, simulation and foundry management software. 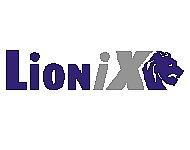 LioniX and PhoeniX from the Netherlands with vast knowledge customers get the best design experts for their complex systems. Intellisense of the US offer design and development solutions for the MEMS proffesional.